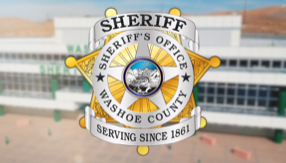 The Washoe County Sheriff’s Office is committed to ensuring accessibility of its Web site for people with disabilities. All of the pages on our Web site will conform to W3C/WAI’s Web Content Accessibility Guidelines 1.0, Conformance Level A. New and updated Web content produced by our organization will also conform to W3C/WAI’s Web Content Accessibility Guidelines 1.0, Conformance Level A. We will review this policy in the future to consider updating it to an advanced version of W3C’s Web Content Accessibility Guidelines once available.